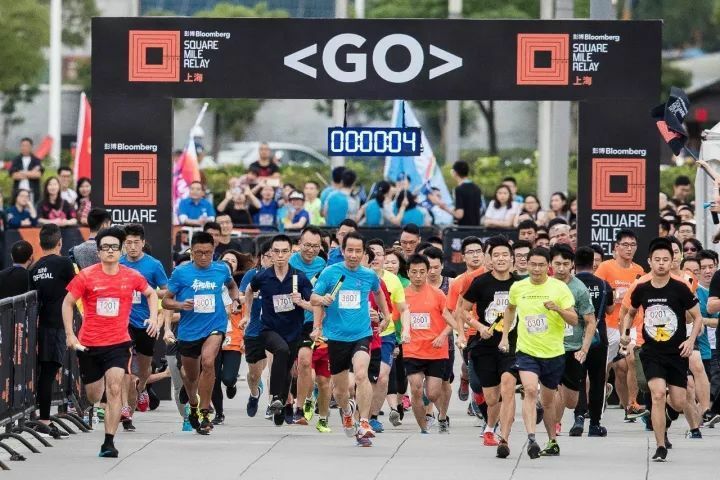 On September 29, 2017, the Bloomberg Square Mile Relay Race was successfully held in East Shanghai. After the game, on behalf of all the teams, Mr. Huang Yijin, Chinese president of Bloomberg, donated a charity fund of 50,000 Yuan to the Shanghai Soong Ching Ling Foundation to aid the foundation’s relevant charitable project. 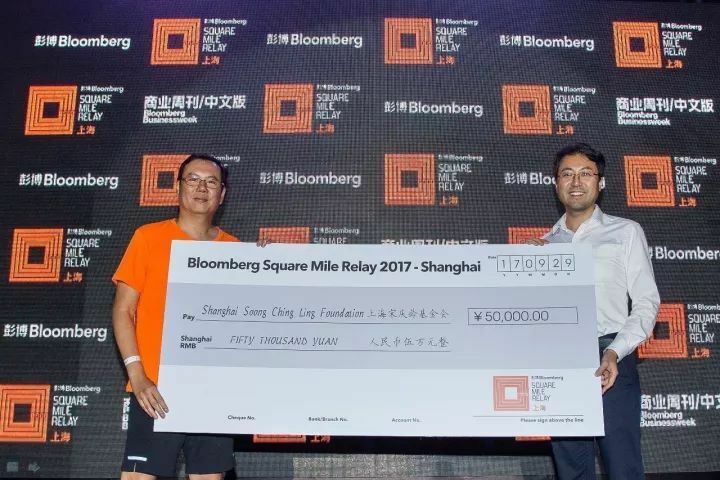 As an important part of the global series, 2017 Bloomberg Square Mile Relay Race in Shanghai was participated by a total of l57 teams from the excellent financial institutions and commercial enterprises in Shanghai, each team consisted of 10 runners -- each runner completed a one - mile (about 1.6 km) course and pass the baton to the next runner. The entire team completed the whole course with the least time won the game. In the end, the South China Futures Co., Ltd. successfully defended its championship with a record of 55 minutes 45 seconds, the Chinese Financial Futures Trading and Oriental Securities Co., Ltd. respectively won the second and third place. Duke University in Kunshan won the "Fastest Mixed Team" award, and Xu Lieqiang of South China Futures Co., Ltd., won the “Fastest Man” award.